We rarely think about what makes us possible. Climate change calls upon all those who sleepwalk to wake up—to come clean, so to speak—concerning the harm being done to the natural conditions that make a just and well-ordered society possible. But what about those who are awake—those who are scientists, researchers, writers, teachers, activists, and engaged ecological citizens; those of us who are concerned with environmental or ecological ethics in some way? We understand that the natural world, upon which we all depend, is imperiled. But do we adequately notice the shifting cultural and political ground that is no less essential for our work? Do we unduly take for granted a political morality that makes us possible? Do we understand the peril it is in? Tonight I will be your eyes and through me you will watch the moonrise and together we will be slowed and stilled and humbled. I will walk your puddled streets through traffic-roar and siren-wail, over mute pavement and stink of trash. I will climb the hill that is your shoulder, climb and climb until the buildings release their boxy grip and the sidewalk becomes a trail. Up there in a small park, balanced on a rock above your sprawling, glowing body, we’ll pull back our hood and look to the east. We won’t blink. We’ll hardly breathe. An ethic of care and caring—such as people manifest for one another, for companion animals and plants, and for favorite places—must be extended to all of nature. Extending the moral scope of care in this way is important because it has the potential to change human behavior on a large scale. The moral and emotional power of care can give new vigor and broaden horizons for conservation. It can foster behaviors and policies to create a thriving, resilient planet for humans and other creatures to inhabit. It is early morning, spring, along the Des Plaines River near Wadsworth, Lake County, Illinois. Fog rises off the river as the first hints of sun reflect off the tops of the trees lining the far bank. Save for the birds and a few frogs, it is quiet, no one around, and the air is cool and dry. In short, a perfect Sunday morning in one of my favorite places on the planet. I set up my tripod and camera and start photographing. I have worked for the McHenry County Conservation District for nearly thirty-one years, which is quite a stretch of time at one spot. I have been there so long that many people assume I have always lived in McHenry County or at the very least that I grew up in a rural landscape. The truth is I am a city kid. I grew up in Humboldt Park. A Humboldt Park of mostly working class families and at the very end of an era when people still slept in the park at night during the summer because no one owned an air conditioner. Currently I am at work on a series of essays chronicling my own voyage of discovery in pursuit of a personal eco-ethical toolkit. I am searching for tools to help guide me as I interlace and articulate a resilient and organic personal moral fabric. The resulting toolkit will offer a framework to rest my head and heart upon as I stumble, skip, and waltz through life’s evolutionary interdependencies—interdependencies that permeate all of Earth’s temporal and spatial scales. That is my hope. And this is the first essay in that series. Do you ever wonder why everything seems to be interconnected—humans, nature, planets, stars, the Cosmos? Life originated from unicellular organisms by circumventing the second law of thermodynamics using the first principles of physiology—namely, negentropy, chemiosmosis, and homeostatic regulation of calcium and lipids. The discovery of the first principles of physiology offers the opportunity to understand how and why we have evolved from the environment. Movement and sound—these simple elements of the evolution of creation—Nature—are the source of human intelligence, knowing, communication, learning and development, meaning-making, creative artfulness, and all that these spawn in the Nature–human–culture interrelationship. Several years ago The New Yorker published a cartoon that showed two people in a car turning their heads in bewilderment toward a roadside sign that reads: “You are now entering the environment.” Now entering? Where were we before? Surely the environment is all around us. Or is it? Like any good joke, this one has a bite that’s sharp enough to leave an aftertaste. What is the environment anyway? Is it a synonym for nature? Are you more likely to find it where there’s plenty of nature to enjoy or where nature is under threat? Over several weeks I corresponded with Elizabeth Minnich and talked by telephone with her at her home in Charlotte, North Carolina, where she is a professor of moral philosophy at Queens University of Charlotte. She is also Senior Scholar for the Association of American Colleges and Universities’ Office of Diversity, Equity, and Global Initiatives. An award-winning author, she has written two other books prior to The Evil of Banality: On The Life and Death Importance of Thinking (Rowman & Littlefield, 2017). Professor Minnich was a friend of the late Strachan Donnelley, the founder and first president of the Center for Humans and Nature, and she served on the Center’s Board of Directors for many years. The consensus within the scientific community that climate change/global warming (CC/GW) is real, imminent, indeed currently ongoing, and largely induced by human activities is practically unanimous. Despite this, R.J. Lazarus termed it a “super-wicked problem.” Generally speaking politics and law in the United States systematically eschew policies that favor the collective needs of the global future over the national present. The inherent complexity, scale, and local variability of CC/GW require a governmental response, not simply change in the private sector, and that inter-generational consequences be taken into account. It is little wonder, then, that climate change policy has repeatedly encountered roadblocks. Looking out over jagged edges, pits, and peaks, I imagine the earth should feel coarse beneath my bare feet. Instead the ground feels smooth, and it’s warm after baking in the afternoon sun. I’m from Urbandale, Iowa, not a major metropolis by any means, but urban enough that I notice the quiet here. And these deep canyons and looming spires are a sharp departure from the flat, endless corn and soybean fields that line the eight-hour drive from Iowa to Badlands National Park, South Dakota, where I am having my first visit to a national park at seven years old. I gripped the steering wheel of my car. My father was dead. As my knuckles turned white I realized my hands were like his. Sunburnt on top, calloused underneath. We both loved to dig in the earth. He died where he feared—away from home. The brain tumors took over fast. After years of surgeries, experimental chemotherapy treatments, various forms of radiation, and numerous hospital visits, the tumors won. It happened within days. On a Tuesday he woke up in his room at the long-term care facility with a cold. By Wednesday the doctor called my mom and recommended hospice care. I grew up in northern Iowa and knew very little of the Driftless Area, which was only three counties to the east. My high school was quite good for the time, but history was more about our European background, and there was very little indeed about Native Americans, nor about early explorations or settlement of any part of Iowa. As was common in the 1950s, I went off to a nearby college—in my case, Luther College in Decorah, Iowa. My parents drove me eastward from Lake Mills through gentle, rather flat land, but passing Cresco, Iowa, quite suddenly the terrain changed. The slopes in the road became steeper and longer, and there were bluffs rising nearly vertically along the Oneota River. Why “Oneota,” I wondered? We humans have a problem when it comes to fully understanding the honeybee. Our struggle to contain Apis mellifera within our conceptual grasp reflects our left brain/right brain polarity. On one side of the cerebral divide, we assert our unique powers of analysis to deconstruct the anatomy of the insect, curiously picking through the delicate inner workings just as an apprentice clockmaker tinkers with a timepiece, often resulting in a table cluttered with tiny parts. On the opposite hemisphere, we pour over volumes of poetry, ancient hieroglyphs, and pagan folklore to somehow help articulate our attraction to the ethereal and almost divine nature of the honeybee. 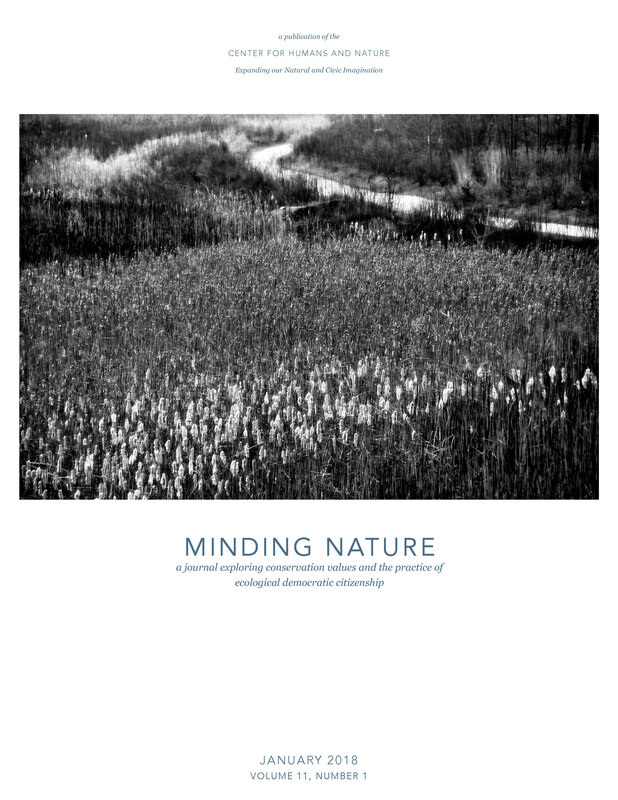 On the Cover: Prairie Path, Grayslake, Illinois, John Wylie. For Wylie’s photography visit johnwyliephotography.com.